These pots are so cute and simple to make. They're perfect for spring and also would make great gifts for relatives! These cute dolls wobble, but won't fall down! Can you guess why? Yup. You read that right. 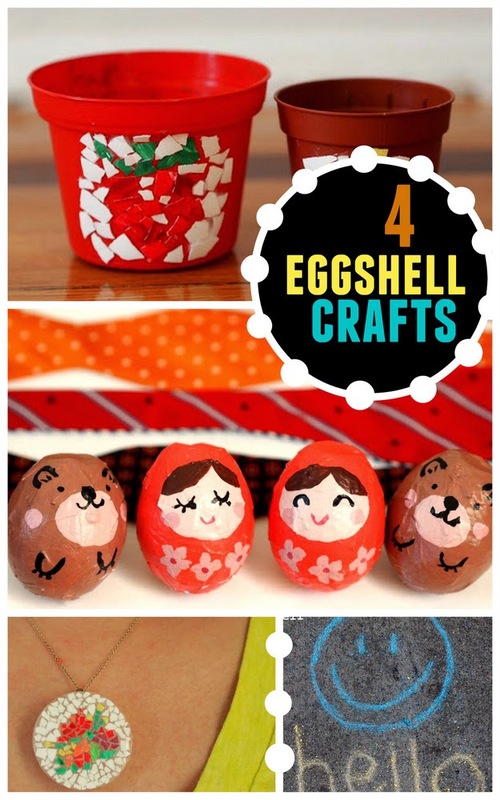 Don't toss those eggshells out! Turn them into a lovely piece of up-cycled jewelry! This would be a fun craft to try out with the older kids! Bet you never thought you could draw with eggshells? Well, you can! And the process is so fun, your kids can help you make this chalk too!